Bixby, Samsung's new AI assistant, is one of the key features of the Galaxy S8 and S8+. 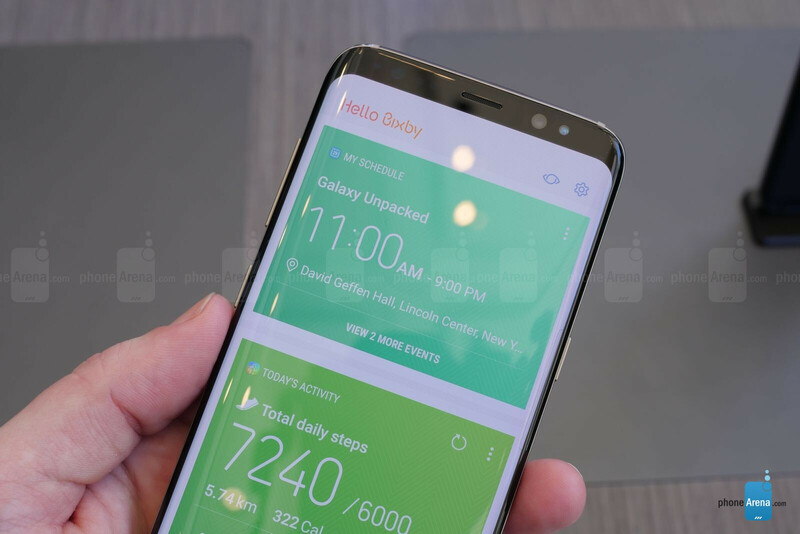 The fact that Sammie has decided to add a dedicated physical button for Bixby on each of the new flagships speaks for itself, but many were disappointed to find out that the virtual helper will only speak English and South Korean upon release, and probably won't come with a full range of functionalities. So, when will Bixby be updated with new capabilities and languages? Until recently, no one really knew, but the support page of Samsung Germany might have just given us the answer. Apparently, many users were eager to find out just that, so the FAQ (frequently asked questions) section of the site was updated and now states that Bixby will be able to converse in German in Q4 2017. A small screenshot attachment was also added, which reads "Bixby says 'Hello'" in German. Although no further information was given, this gives us a reason to believe that Samsung might be planning to release a major update for the assistant this fall. As you may know, Bixby won't be an S8 exclusive, and will most likely be present in the upcoming Galaxy Note 8. The new Note will most probably be announced during the first week of September at IFA (held in Berlin), and it's hard to imagine a more appropriate occasion for the unveiling of a big software update. I don't know why some hate on bixby without giving it a shot. If you can open and close apps and download stuff I find that pretty cool. Also if you can edit, and share screenshots and use voice to replace touch input where going in the right direction it was coming sooner than later. Also I hope its better at voice and text type than the Samsung's keyboard. I played with the S8 for over an hr, and even with preproduction software Bixby was really nice. Aggregating all the useful information in one spot, as well as Siri level AI, mannnnnn! Samsung has a winner on its hands. I didn't expect them to come this strong after the Note 7 catastrophe, but I guess they needed to. Kudos to Samsung on the strong comeback. God I hope it doesn't go that route. Bixby has some wicked potential. I think that dedicated button means it here to stay. Things like AI/assistant/voice actions don't become magical in a single day. Look at Siri and Google's offerings. They are in this business for 5 years, yet the support and functionality is bare bone. I am sure Bixbi will need 2/3 years to become relevant, and google will probably have 2 more assistants by the. Google's level of commitment to a single software is very dubious. They already had google now, now on tap and assistant. No idea what they will have tomorrow. The progress in Siri is just too damn slow to get me excited.